Tabular Editor provides an intuitive hierarchical view of every object in your Tabular Model metadata. Columns, Measures and Hierarchies are arranged in Display Folders by default. You can edit properties of one or more objects, by (multi)selecting them in the tree. A DAX Editor with syntax highlighting lets you easily edit the expressions of Measures, Calculated Columns and Calculated Tables. Tabular Editor lets you work offline by opening a Tabular Model directly from a Model.bim file. 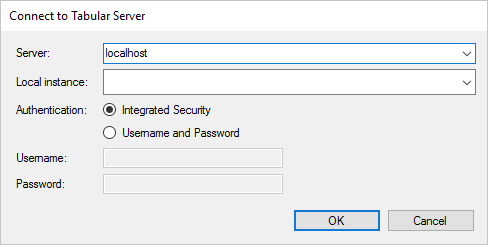 You can save your changes back to the file, or deploy the model to a Tabular server. You can also open a Tabular Model that was previously deployed to a server, make offline changes and then deploy those changes back to the server with a single click. Since Tabular Editor only considers model metadata, you can load huge models with 100s of tables and 1000s of measures, and apply changes instantly. The model is not validated until you deploy it, and you are responsible for recalculating the model when the need arises. Compared to Visual Studio, this means you will never again have to wait for the workspace database to catch up, whenever you change a property on an object. 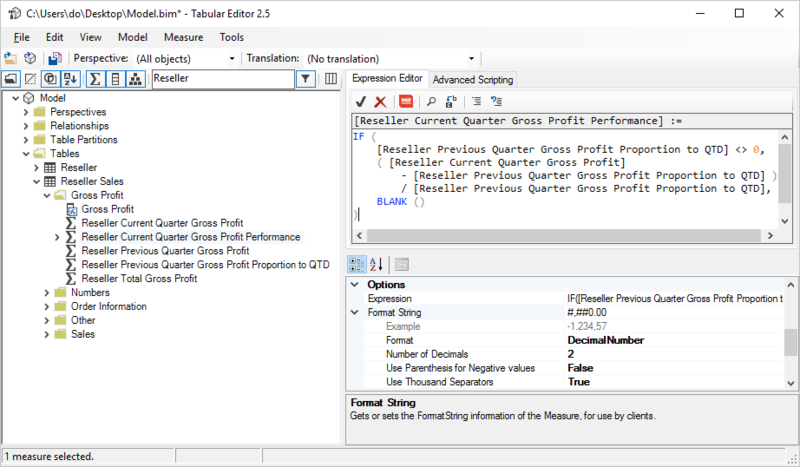 Tabular Editor also supports Azure Analysis Services. Tabular Editor lets you easily clone measures, columns, hierarchies and even entire tables. You can use CTRL+Z / CTRL+Y to undo and redo changes. You can multiselect and drag objects between Display Folders, tables and even across models (by opening multiple instances of Tabular Editor). Perspectives and translations are applied in the context of individual objects, and you can apply filters to quickly locate objects in the model. Advanced users may use scripting to support their preferred workflows, and scripts can be saved as Custom Actions for easy invocation directly in the Explorer Tree. 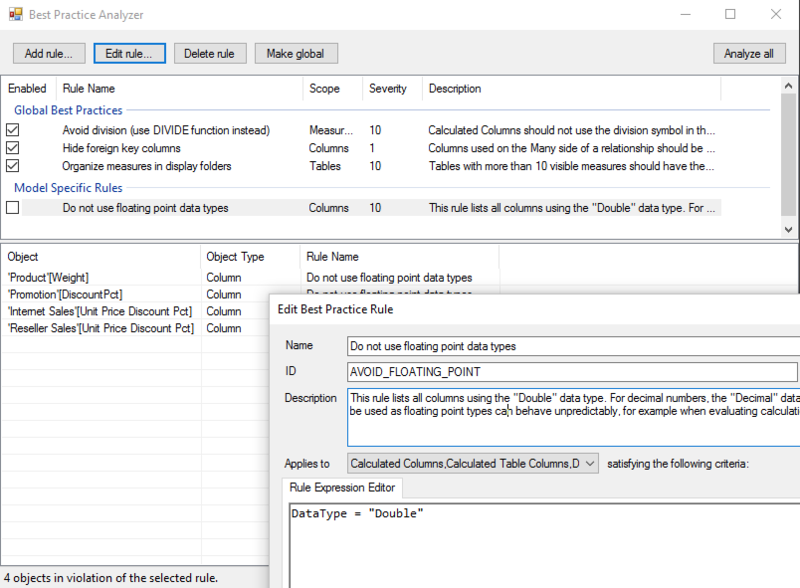 Tabular Editor introduces the Best Practice Analyzer. A tool that lets you define global or model-specific rules using a simple expression language. At any time, you can check whether objects in your model satisfy the rules. For example, you can create rules to check if naming conventions are kept, if metadata properties are set up correctly, if columns containing numeric values are hidden, if visible objects are exposed in perspectives, etc. The sky is the limit. The tool is open source and completely free. Download it from the release page to get the latest version. If you need more information, check out the Getting Started wiki.